Few exhibits are as iconic, as synonymous with “WonderLab,” as the Grapevine Climber, donated by Oliver Winery around the time WonderLab first opened the doors at its present location. The Grapevine is a climbing exhibit that people of all ages, shapes, and sizes can crawl through. It is almost impossible to miss, and is impossible not to enjoy. Years ago when I began to volunteer at WonderLab for an assignment in high school, one of our first tasks was playing around the museum. Naturally, many of us were drawn to the climber; there was quite the line to make it onto the immense leaves that serve as platforms, which is a common phenomenon. I was nervous at the time because to the uninitiated, the climber looks like an unstable collection of leaves and netting. My fears were relieved when I climbed on and noted that despite a half dozen teenagers shuffling around on the leaves, the climber barely even vibrated. But of course, the climber is safer than I assumed at first glance. The “leaves” are each strong enough to hold a Volkswagen Beetle without breaking. The “netting” is made of aircraft cable, each strand of which is capable of withstanding up to a ton of pressure – that equates to 2000 lbs. The design of the climber is aesthetically similar to a winding grapevine, but it’s engineered to utilize the geometric strength of triangles. The leaves are all roughly triangular and the netting is strung up in triangular patterns. Children may not always vocalize their reasons, but they wear their emotions on their sleeves. 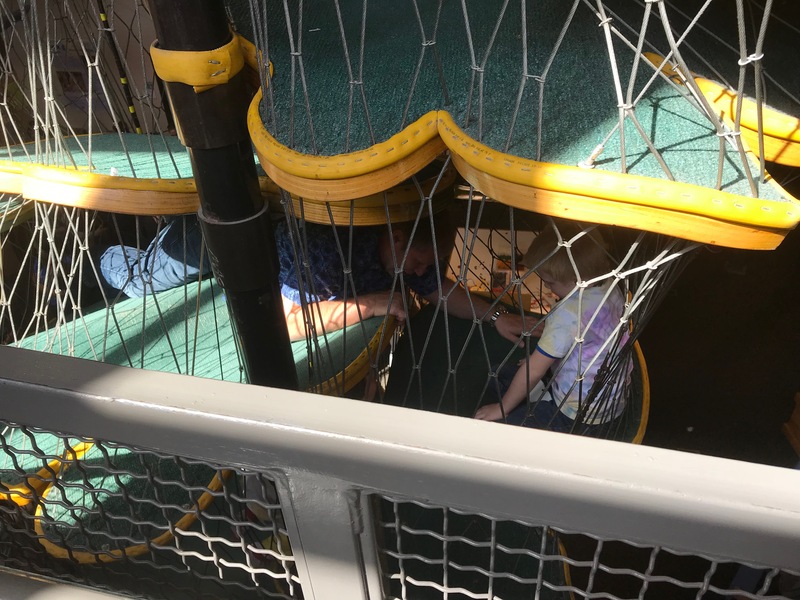 Rachel*, a Special Education Aid, and Stephen*, her charge, recently came to WonderLab on a field trip – and the climber quickly became Stephen’s focus. With the encouragement of his entourage throughout the trek, Stephen made it to the top of the climber, being very careful to let other kids pass him by in some of the tighter spaces. “By the time he was finished, he was so proud of his accomplishment and couldn’t wait to go home and tell his Mom,” said Rachel, smiling at the memory. Since it was installed, the climber has been one of the most popular fixtures at WonderLab. Guests like Stephen and staff alike enjoy the climb, often for different reasons. Sarah, a Museum Experience Assistant at WonderLab, believes it’s the challenge. “It’s tricky to figure out how to pull and push yourself,” Sarah says in reference to the maze-like inner workings of the climber. The climber’s allure may also involve a more primitive drive. In the WonderLab Alive! Blog “Snake Stigmas – Our Ancestral Memories,” WonderLab’s Animal Exhibits Manager and resident marine biologist Sam Couch writes about “ancestral memories,” also sometimes referred to as “genetic” or “racial memory.” This is information that humans are born with due to millenia of our ancestors’ consistent interactions with various objects or animals. For instance, in Sam’s blog she explains why many humans exhibit an innate fear of snakes, even if they’ve never had a first-hand experience with them. Those of our ancestors who had an instinctual fear or aversion to snakes were more likely to survive and pass on their genes, leading to most of our species sharing that instinct. Much the same thing is believed to have led to humanity’s love for climbing. Climbing was a skill that directly tied in to our ancestors’ survival. If they could climb, they could find food, keep away from hungry predators, and find shelter either for the night or from danger. Because of this, those ancestors who climbed well and often would survive more often to share their genes through reproduction, leading to more and more members of the species who appreciated and even enjoyed reaching for the treetops. Our climber, thankfully, does not need to be used as an escape from danger, nor is it our guests’ one chance to find enough food to stay full. It does, however, simulate these situations which trigger our instincts, leading to a feeling of security and self-satisfaction for conquering its heights. So, whether you’re aware of it or not, you’re learning about angles and slopes, your body, spatial awareness, and your ancient heritage, all through the grapevine. *Names were changed to ensure the privacy of our guests. 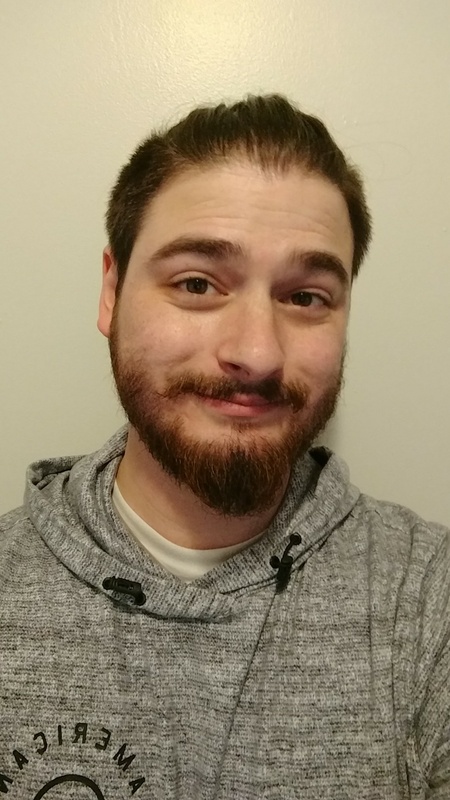 The Writer: Samuel Zlotnick is 24 years old and is a self-described “scifi/fantasy geek”. He’s learning a lot from his internship at WonderLab in its Marketing/PR department, which he feels will compliment his eventual Bachelor’s Degree in Professional & Technical Writing. He’s been an avid climber of anything he can reach since he was a toddler, much to his parents’ chagrin, and loves the climber at WonderLab.